Lawn King ride on lawnmowers are now one of our most popular selling ride on lawnmowers, favoured by our customers thanks to their superior robust build quality, long lifespan, great design and low price point. 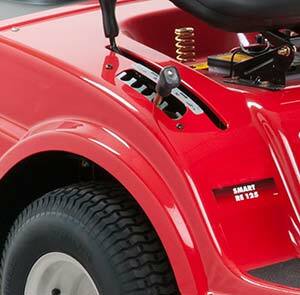 The Lawn King range of ride on mowers are made by MTD in Europe, one of the world's largest lawnmower manufacturers and the company responsible for brands such as Lawnflite and Cub Cadet. 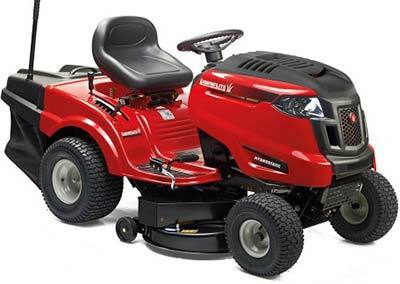 The Lawn King LN165H is a large ride on lawnmower suitable for big gardens. This comfortable and versatile mower is equipped with a big 41 inch twin blade cutting deck and a substantial 240 Litre grass catcher making it ideal for mowing even large areas. 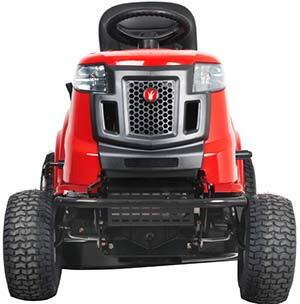 It is fitted with a high performance Briggs & Stratton 500cc engine, guaranteeing high performance and long service life. 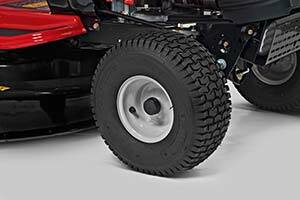 The Lawn King LN165H is fitted with a user friendly hydrostatic transmission as standard for a smooth and comfortable ride. The removable bonnet also gives easy access for maintenance work at any time and the cutting height can be easily adjusted to five positions between 30mm and 95mm. The offset deck features anti-scalp wheels which prevent damage to the grass surface and due to the decks 'floating' nature it adapts to uneven ground and makes it simple to mow close to any edges and around obstacles in your garden. The deck can also be cleaned easily thanks to the deck wash nozzle. 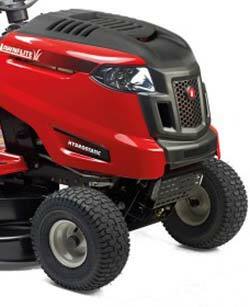 It also has headlights for mowing in darker conditions. An extendable tow hitch is integral to the machine and a range of optional accessories are available to make sure you get the most out of your ride on tractor all year round. We can deliver your new ride on lawnmower right to your door, no matter where in Ireland you live. Call us today for a delivery quote!